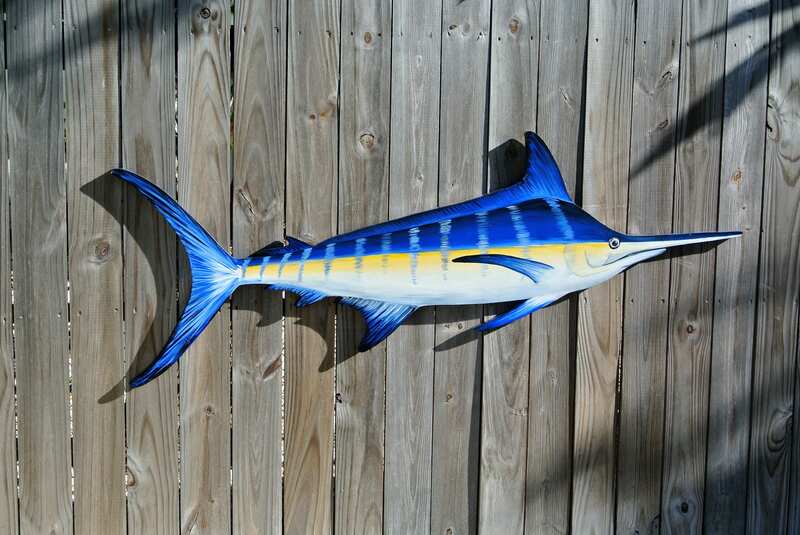 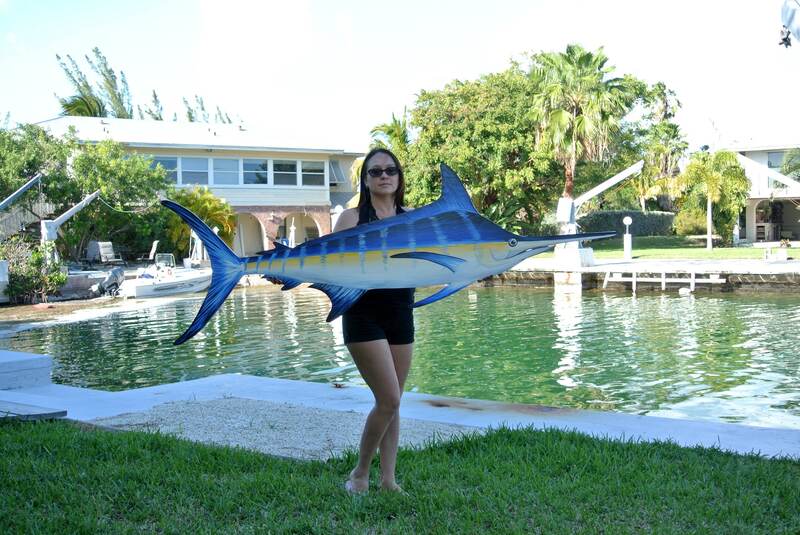 Wooden Blue Marlin Fish is designed, hand cut and painted as a perfect addition to your patio, beach house or porch. 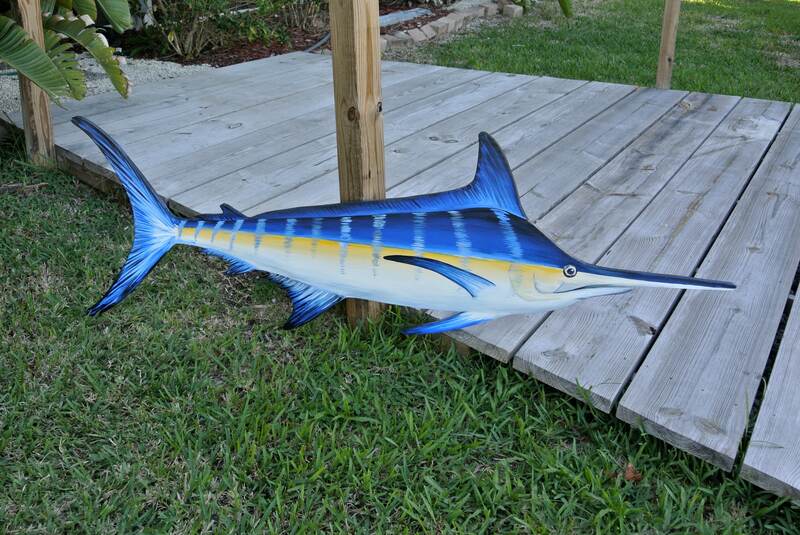 It can be a great gift for the fellow who likes fish or fishing. 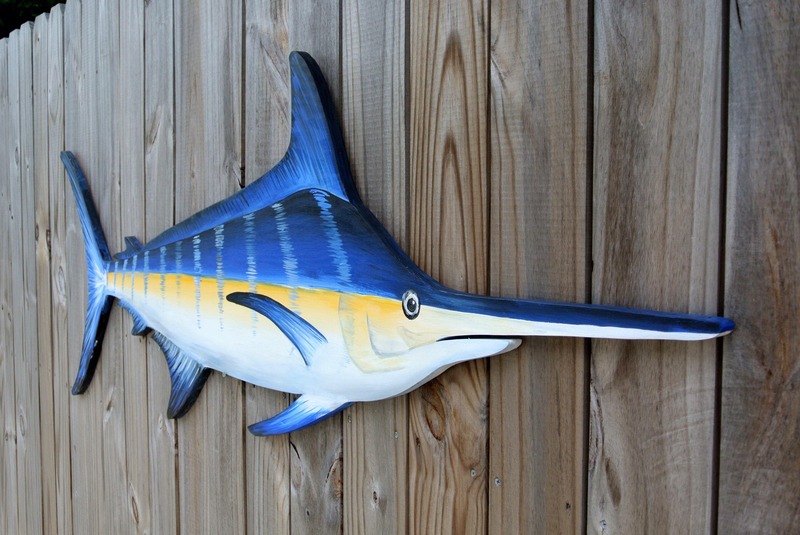 Fisherman gift, gift for New home or Birthday. 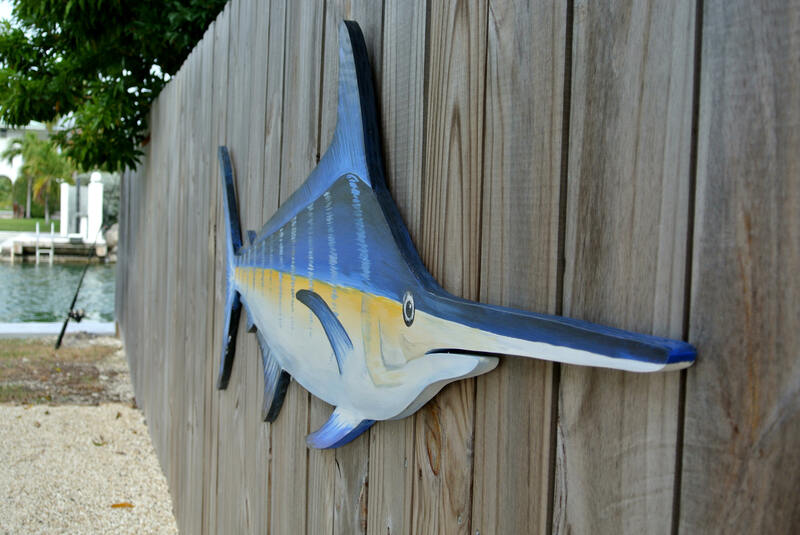 The item is made from high quality wooden board, hand cut, decoratively burned and painted with love in Key West. 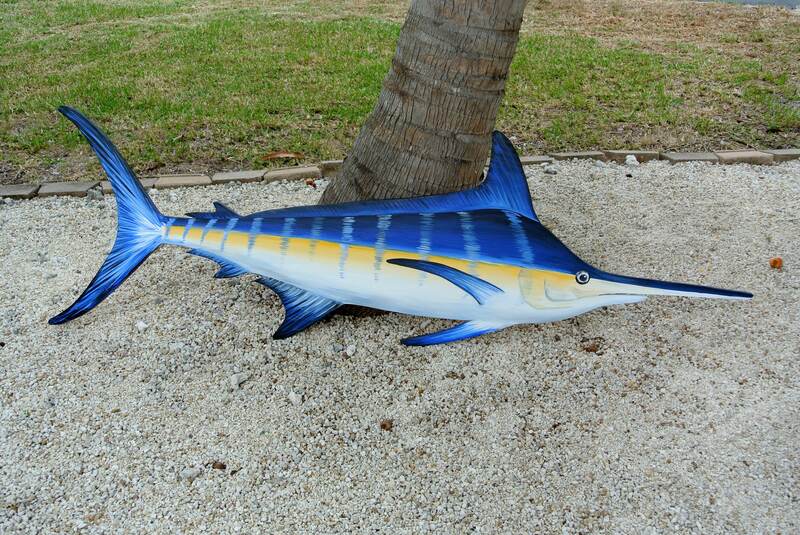 Could be customized to any fish, colors, design. Comes ready for wall hanging. 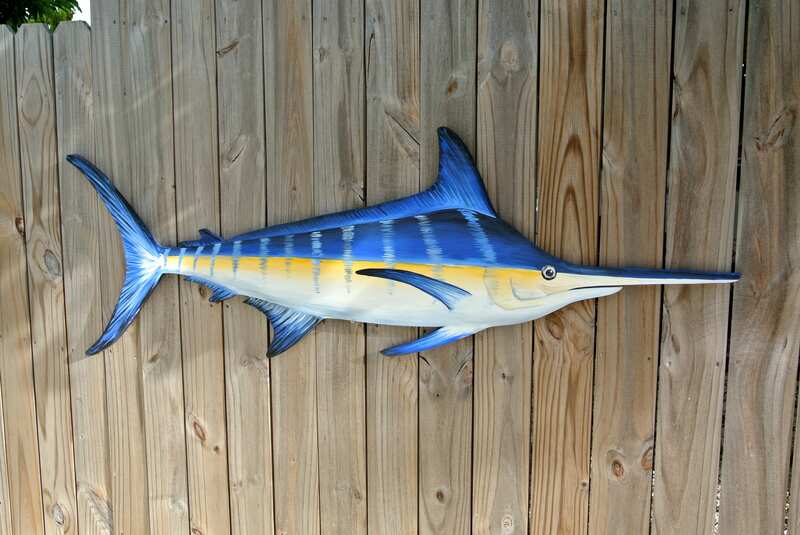 Coated with weather protective clear wood finish for outdoor displaying for years.